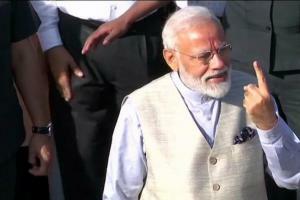 The BJP’s saffron t-shirts with pictures and catchy phrases by Prime Minister Narendra Modi are selling a lot more than they did during the 2014 Lok Sabha elections. Mamata Banerjee and Prime Minister Narendra Modi. 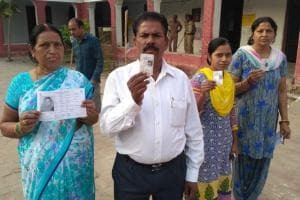 Kolkata: The tussle between the Trinamool Congress (TMC) and the BJP is evident in the markets of West Bengal, with sales of TMC election merchandise being the highest and the BJP following close behind at number two. The Congress and CPI(M) are relegated to the backseat. 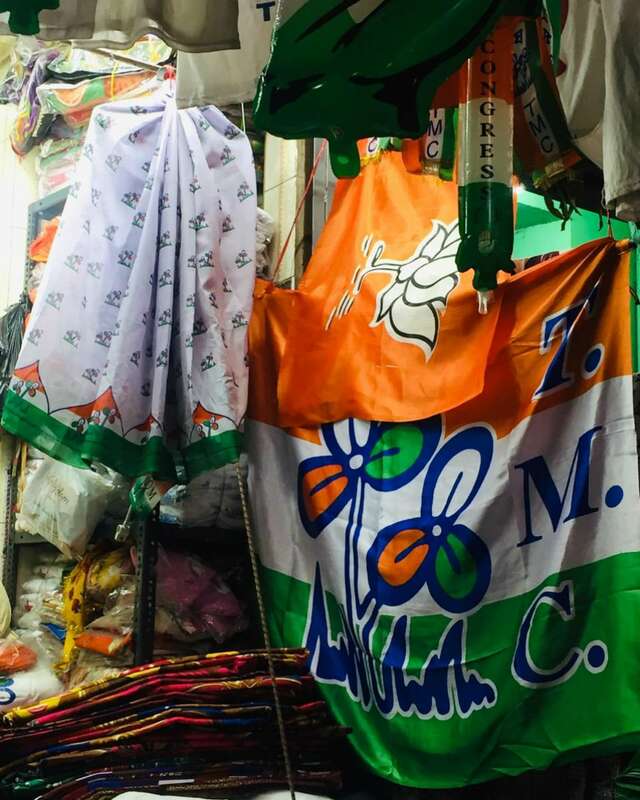 It is only when you walk into Burrabazar -- Kolkata’s largest wholesale market -- and enter a bylane called Pragya Patti do you realise the extent of election fervor in the form of flags, t-shirts, sarees, stoles, umbrellas, badges, wristbands and balloons hung outside shops. The BJP’s saffron t-shirts with pictures and catchy phrases by Prime Minister Narendra Modi are selling a lot more than they did during the 2014 Lok Sabha elections. The t-shirts of Congress President Rahul Gandhi are not selling as much as those of Modi and West Bengal chief minister Mamata Banerjee. The local shopkeepers say most national parties procure their merchandise in bulk from Delhi before distributing them to other party offices in the country. But it is the national flag, followed by t-shirts, that the most in demand. While the wristbands, badges and caps are cheaper, they are they sell the least. The shop owners told News18 that flags sell anywhere between Rs 4 to 25 depending on the size and quality, the umbrellas sell at Rs 60 to 75. Wrist bands are priced at Rs 5, badges at Rs 5 to 8, caps at Rs 5 to 15, t-shirts at Rs 55 to 75 and stoles at Rs 15 to 40. The sarees are a bit more expensive and priced anywhere between Rs 150 and 170. “While the sales started two months ago, it is only now that they are picking up pace. This is the main market and everyone from across Bengal comes here to buy merchandise of political parties. We are selling products as per the current demand of the political scenario. For every 10,000 pieces of TMC items sold, 2,500 BJP items are being sold, which is about 4:1 ratio,” says Paras Gambhir, owner of SP textiles. Gambhir’s shop has been selling election merchandise for the past 50 years. While these sales may be an indication of the political trends in West Bengal, various poll campaigns and presence of national leaders in the state may bring in a shift in the demand of such merchandise. “We face losses as it is a risky business. Today the TMC is doing well and hence most of the items being sold are from this party. Someday, when another party does well, the sales of Mamata Banerjee-led party will go down,” says Gambhir. Most cloth merchants procure their election paraphernalia from Surat, which located in Modi’s state of Gujarat, and yet it is the demand for merchandise of Banerjee that continues to grip the largest wholesale market in West Bengal.